All withered and pale, of a flower but a dream? On the bosom of beauty and youth. And came to me breathing her truth. And mournfully drooping its stem. 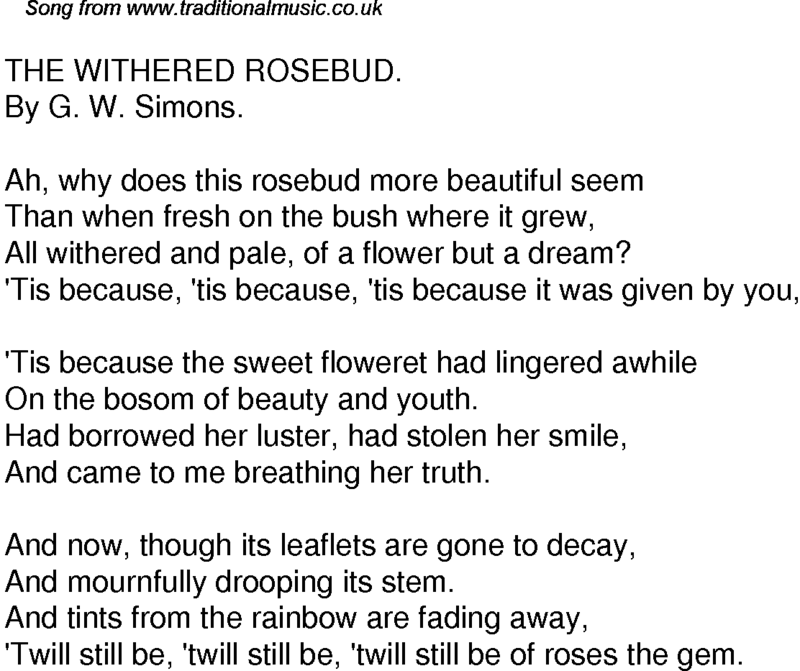 'Twill still be, 'twill still be, 'twill still be of roses the gem.